Mother's Pride » LET’S PARTY AND LEARN TOO! 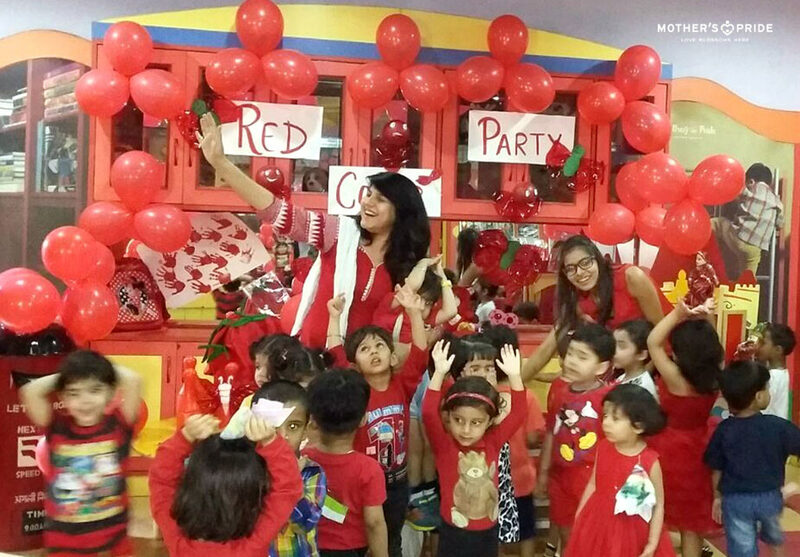 Holding on to the belief that, “Great aim of education is not knowledge, but action”; an entertaining and interactive red color party was organized for Prideens on 22-04-2015, who came dressed in red and brought two red colored objects with them. 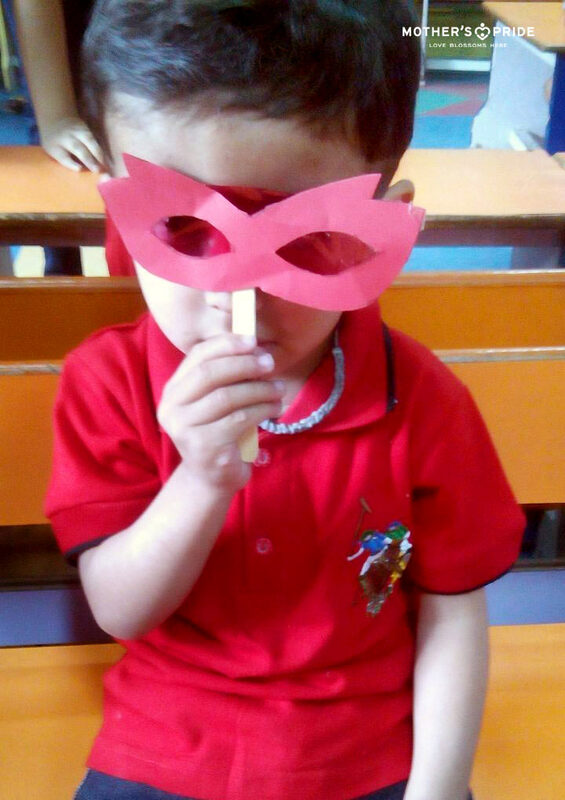 As the day proceeded, Prideens visited different areas of the school to identify various red colored objects. 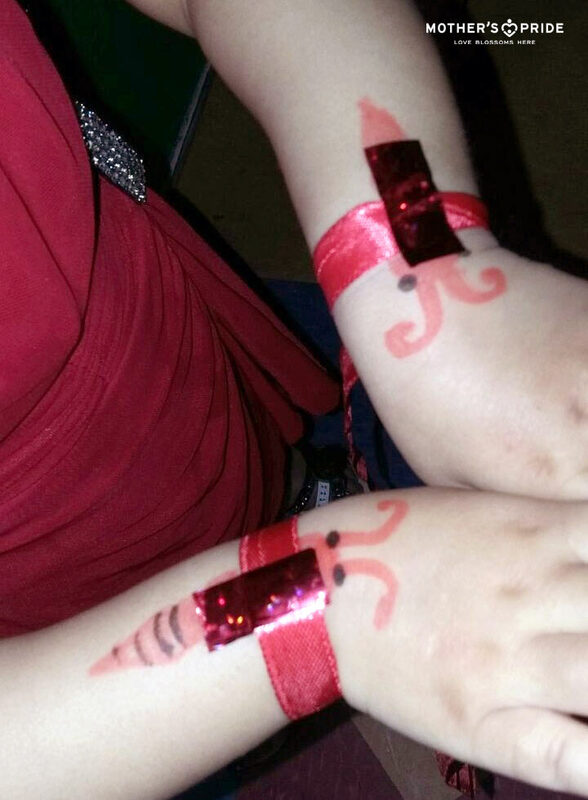 They were taken out to the play zone area decorated with different red objects, where they were given eye masks made with red cellophane strips. 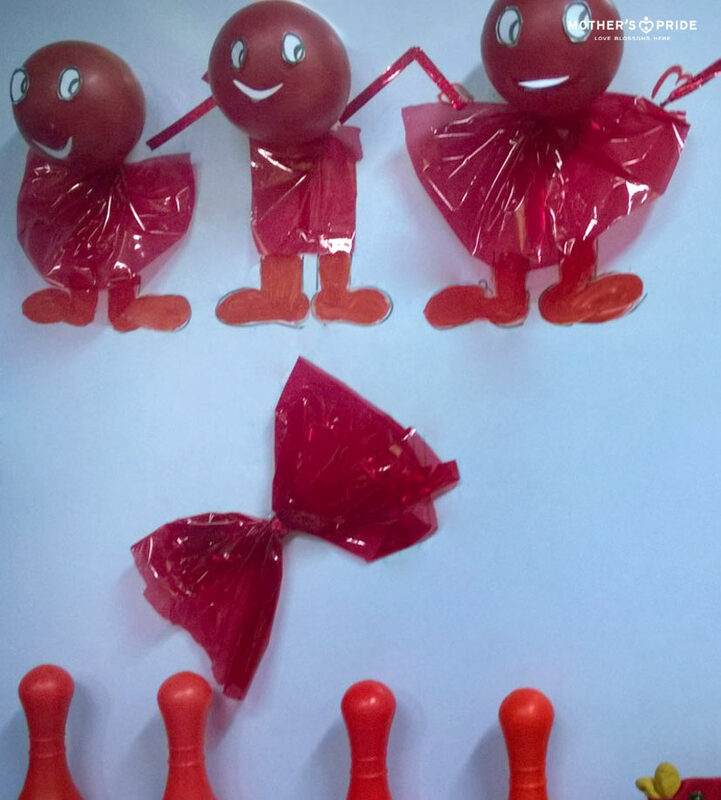 Both teachers and students participated in this activity together. Excited to use the masks, Prideens gushed with joy. 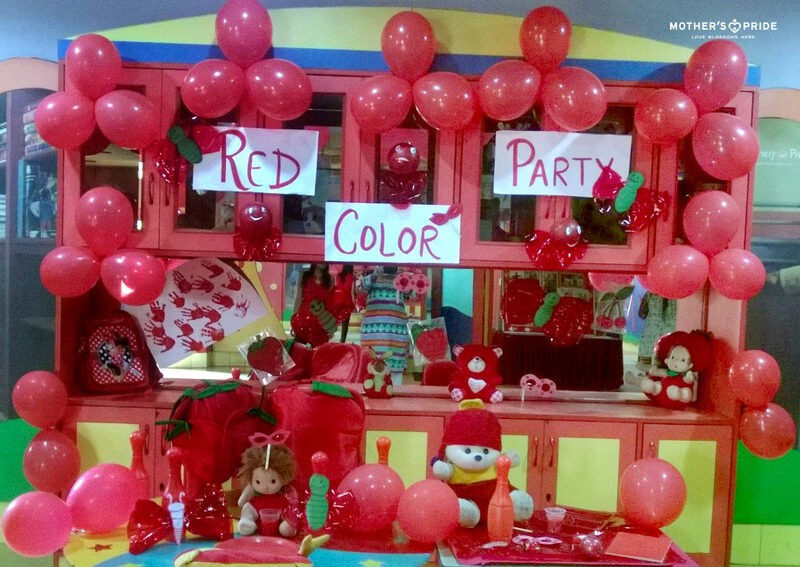 They expressed that everything around them had turned red and also talked about their favorite red objects. 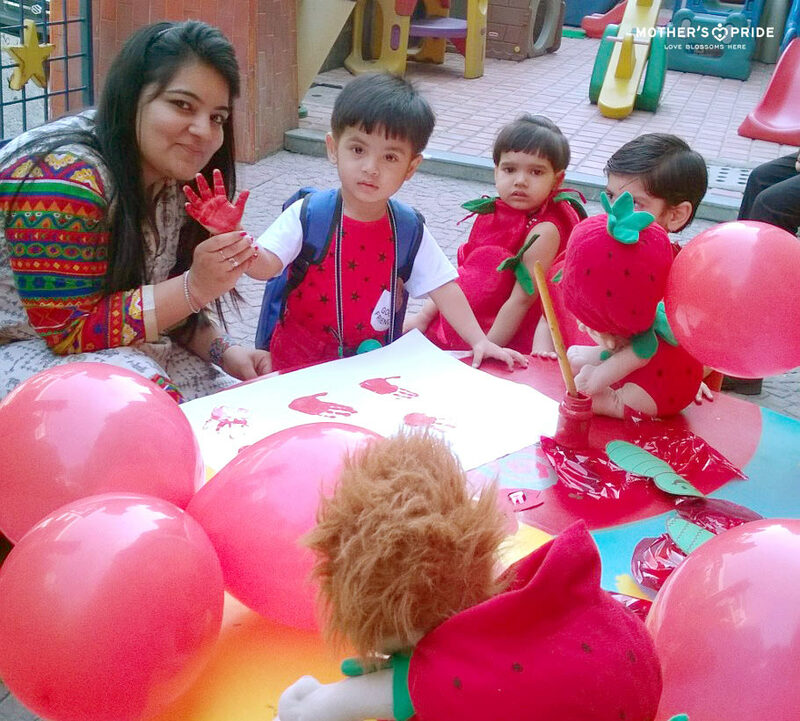 It turned out to be an interesting way for them to learn how to identify and name Red colored objects.